Shed Decor is an inspirational guide to decorating and furnishing outdoor rooms and garden sheds to create beautiful and useable living spaces that add space and value to your home. 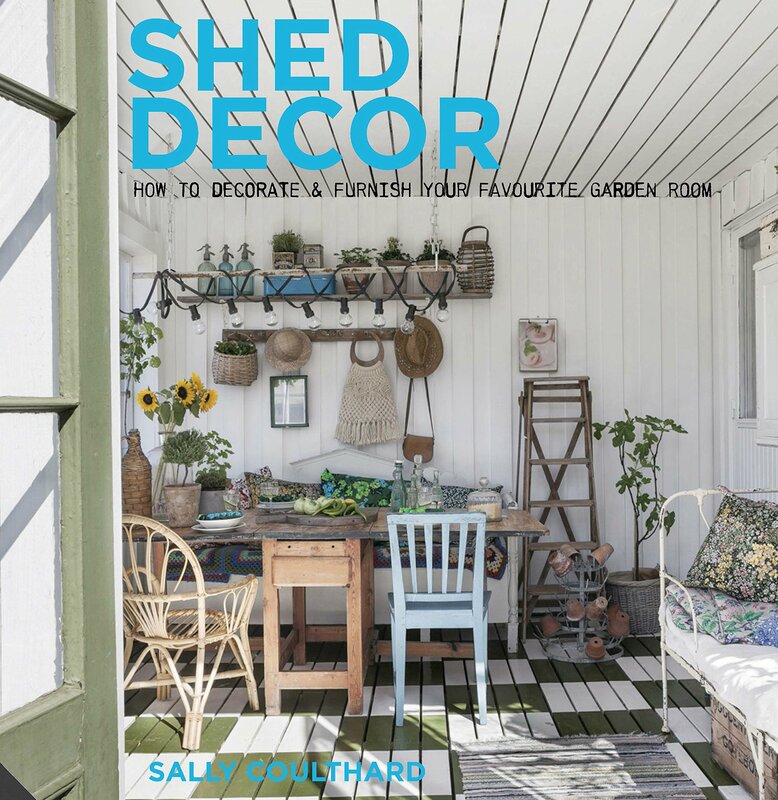 Building on the popularity of her previous outdoor decor books, Sally Coulthard shows you how to design, decorate and equip your shed space to make an extra outside room for relaxing, working and playing. When it comes to decoration, these important outdoor rooms deserve as much thought as any living space within the house; they come to life when filled with furniture and decoration, lighting and fabrics. And, with a bit of planning and the right combination of materials, they can be used all year round, regardless of the weather. Shed Decor is an indispensable guide to creating the perfect shed interior. Whether you want a cool contemporary space or the mix-and-match charm of vintage living, this book takes you through all the elements you need to bring an outdoor room together with flair. "The man cave gets girly - sorry boys we're moving in! This summer a girly getaway at the bottom of the garden is top of every gardenista's wish list." “ … it's a smashing book and an absolute must for anybody with a shed and it would be hard to imagine how it could be improved upon." "... get your peepers wrapped around this awesome book...it's fab and it really does leave you with the sense that creating a gorgeous shed is easy! Especially with such great inspirational help..."